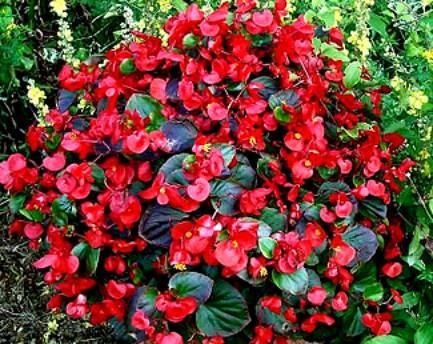 Begonias are a landscaper's favorite. Superior performance with lots of color punch. They look great all summer until fall. 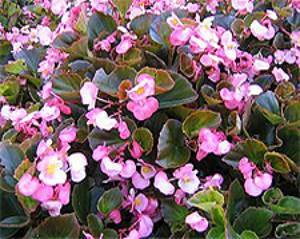 Unlike some plants, begonias will bloom all summer without fizzling out with the summer heat. Little maintenance in the landscape provides an extra benefit. Dead-heading is not necessary. Bronze leaf varieties are best for use in the sun. 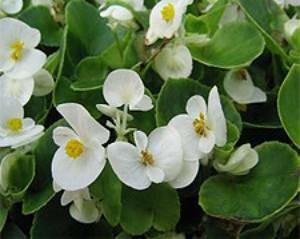 Try green leaf varieties for shady spots.